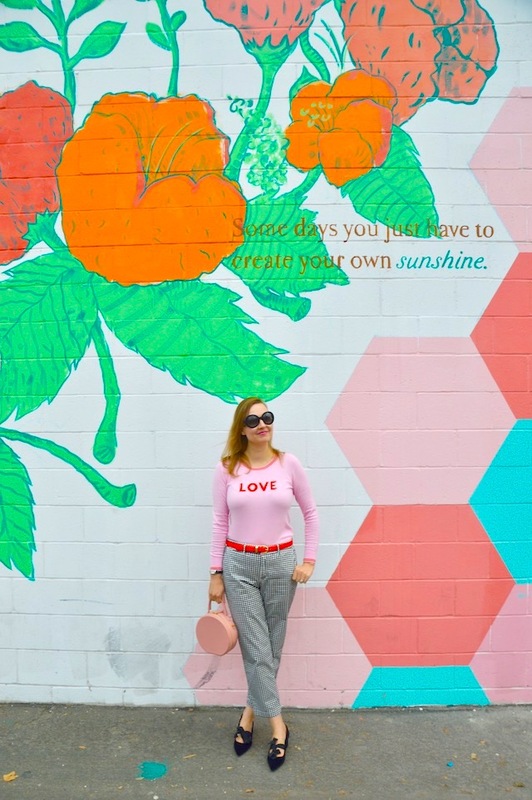 I love a great wall and a great sweater, so this post definitely is the perfect combination of both! 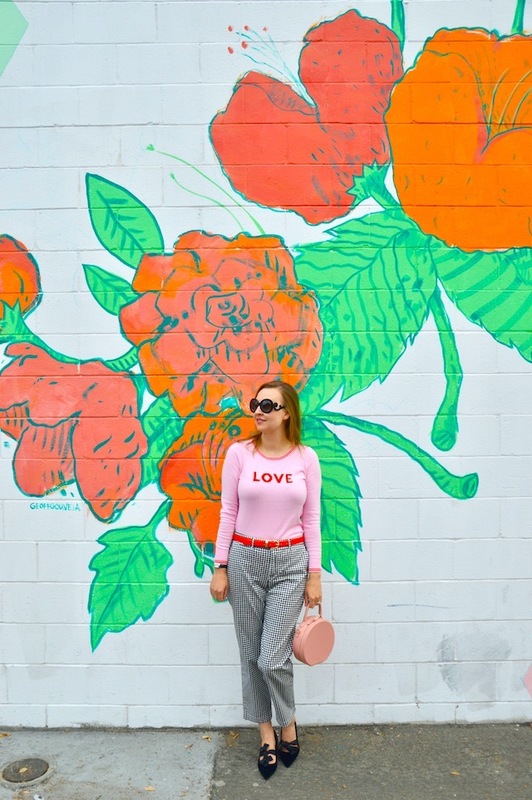 A couple weeks ago, before Black Friday, I found myself in Old Navy and I instantly fell in love with this "love" sweater! 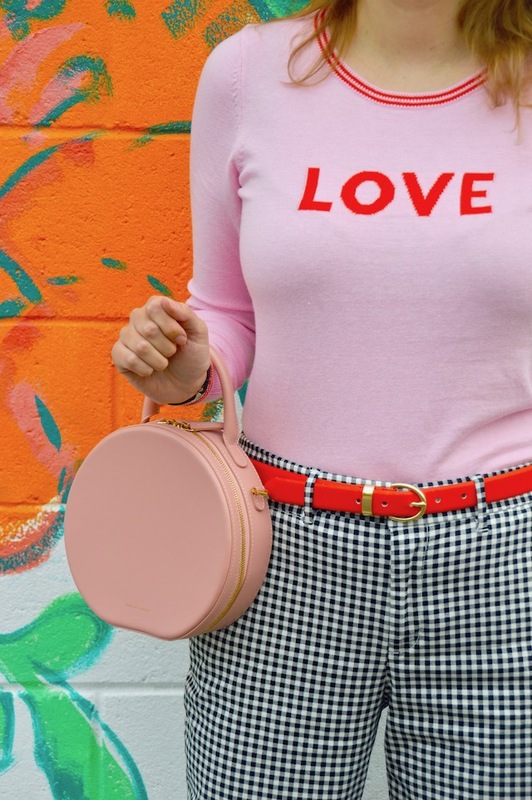 One of the things that initially drew me to the sweater was the combination of red and pink, which I think is always so chic and fun! I also loved the "love" message on it. My husband says I have too many articles of clothing with words on them but I disagree because you can never have too many! Also, this sweater was $15, so what's not to love? As I'm typing this, I'm making a mental note to remember to wear this sweater for Valentine's Day. I'm actually surprised that Old Navy released it for the holiday season but you can definitely wear it all year round! This time around, I paired the sweater with some fun black and white check pants that I picked up at the Gap Factory Outlet this summer. Like the sweater, these pants are technically for summer but you can really wear them all year round. I just love things that are so versatile, don't you? That sweater is just the cutest and I love it with the gingham pants! Your style must really resonate with me, because I often click over from link ups ;). I think your Love sweater is darling--I recently ordered a similar one with Hello on the front. Unfortunately, I don't have your slender body to pull it off. The painting your standing in front of is so perfect! Thanks for joining today's linkup, Katie! You look amazing in this outfit--I absolutely love how you effortlessly mixed highend and lowend pieces. I never would have guessed! You also always have the prettiest backgrounds and colors. I love checking out your blog. :-) Have a great rest of your day!